The Knights of the Old Republic games are two of the most loved Star Wars titles ever released, as well as being amazing RPGs. Sadly, other than the MMO, there hasn’t been a new entry in the series since KOTOR II: The Sith Lords arrived over a decade ago. But that could be about to change. Games journalist Liam Robertson recently revealed on his Patreon podcast that BioWare Austin, developer of The Old Republic, is “prototyping” a new KOTOR game. His information comes from anonymous sources, so it’s not a definite confirmation that we’ll soon see a new Star Wars title from the company. “I’ve learned now that [BioWare Austin is] pretty much now exclusively working on Star Wars games and they’re going to be doing that for the indefinite future. What they’re currently working on right now—and I have this on good authority—is a sort of remake/revival of Knights of the Old Republic. I don’t know when this is set to come out, but it has been in development for a little while now,” said Robertson, via The Star Wars Game Outpost. It’s thought that the new game started life as a remake of KOTOR, but evolved into "its own original thing." Other factors lend credence to Robertson’s claims. Drew Karpyshyn, who was the lead writer on the original KOTOR and Mass Effect 1 & 2, left BioWare in 2012 only to return in 2015. 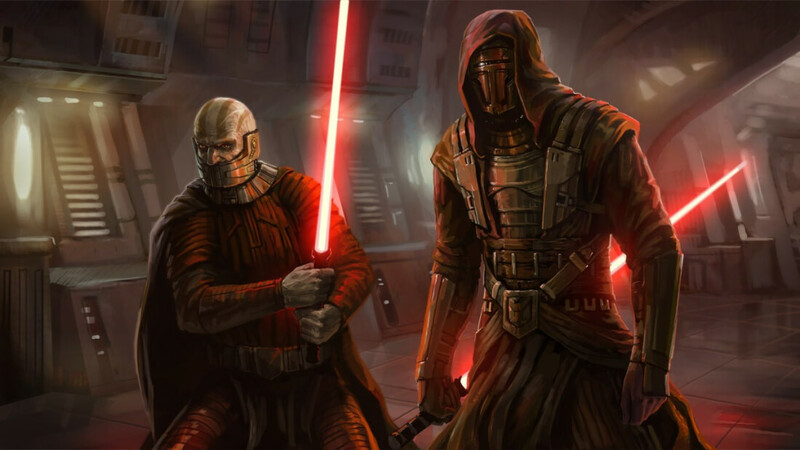 He was working on The Old Republic MMO, but last month revealed that a new game was in development.